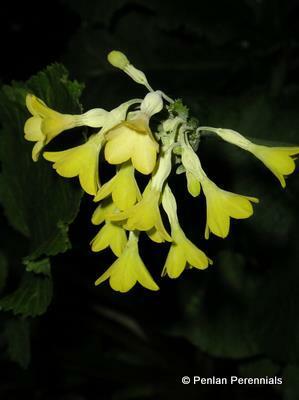 The giant cowslip has similar candelabra-like flowers to other Asian primula species, but is altogether much larger in all parts, growing to 1m/3ft in ideal conditions. The large drooping heads of yellow flowers, (occasionally orange or blood red) on tall stems are held well clear of the foliage. Intoxicating spicy scent is an additional bonus and is carried for some distance. 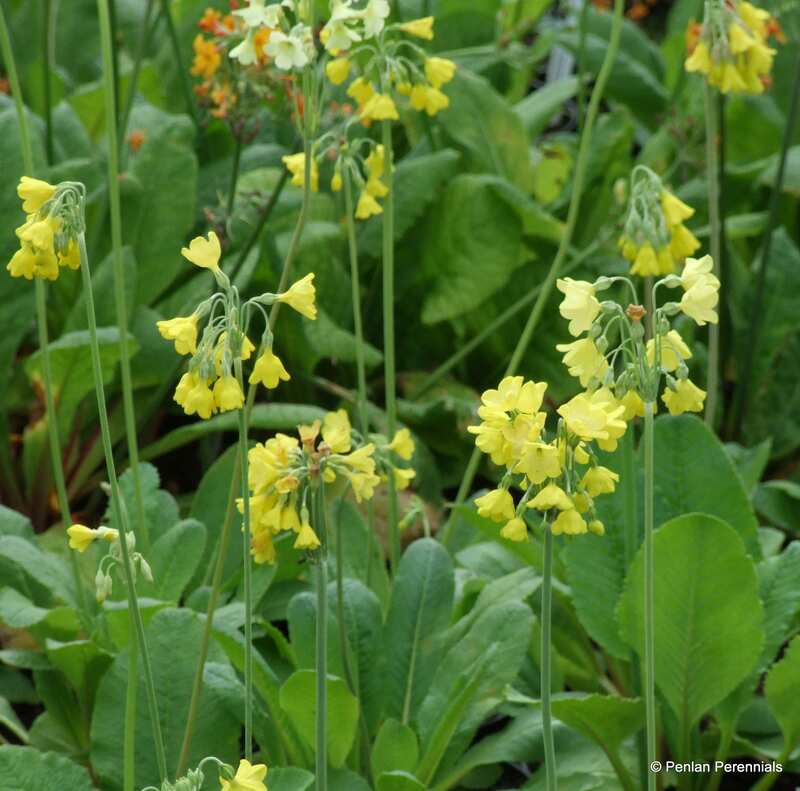 This primula will grow in shallow water, but is best in wet or boggy conditions if grown in sun. AGM. Hardiness rating H7. 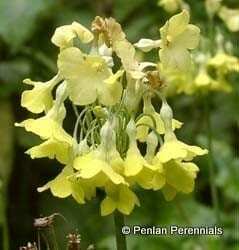 It will seed about gently in the garden, or larger clumps can be lifted in autumn and split. Otherwise it is a plant that looks after itself.